ACU0001F1V1-1 +24/-48v DC Out RET/TMA ACU AISG v1.1/2.0, 24 RETs/6 TMAs - Talley Inc. 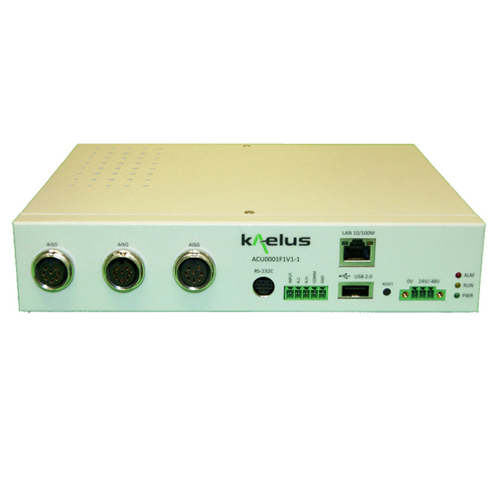 The Kaelus Antenna Control Unit (ACU) is used to provide remote monitoring and RET control for TMA devices installed at a cell site. The ACU0001 is able to communicate with AISGv1.1 or AISGv2.0 devices via a remote Ethernet connection or locally via laptop computer. BTS Able to store local site data such as GPS coordinates, site contact information, etc.